Aedes aegypti mosquitoes that can carry Zika as well as Dengue and Chikungunya viruses. “The new evidence published today tells us that there is a risk of spread of Zika virus disease in the European region and that this risk varies from country to country,” said Zsuzsanna Jakab, WHO Regional Director for Europe, in a press release. “With this risk assessment, we at WHO want to inform and target preparedness work in each European country based on its level of risk. 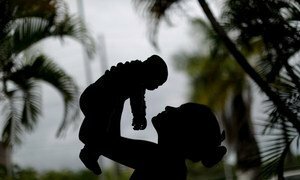 We call particularly on countries at higher risk to strengthen their national capacities and prioritize the activities that will prevent a large Zika outbreak,” she added. The results of a questionnaire on capacity – how fast and well a country would respond to Zika virus spread – from 51 Member States in the region and Liechtenstein indicate that 41 countries (79 per cent) have good and very good capacity, although specific capacities varied substantially, WHO noted. In addition, WHO will convene a regional consultation in Portugal from 22 to 24 June to examine the conclusions of the risk assessment and identify countries' needs, strengths and gaps in relation to preventing and responding to Zika virus disease. United Nations Secretary-General Ban Ki-moon today announced the establishment of the UN Zika Response Multi-Partner Trust Fund (MPTF) to finance critical unfunded priorities in the response to the Zika outbreak.